Is NASA's Kepler Spacecraft Down For The Count? Is NASA's Kepler spacecraft, that amazing extrasolar-planet-spotter in the sky, down for the count? No one's said definitively, but that seems to be the tone of the conversation from those who know best. Kepler, that giant space-borne camera that has been staring at a patch of 150,000 stars in Cygnus for the past few years, has encountered technical problems with its reaction wheels. These reaction wheels are somewhat like gyroscopes: heavy disks spun with electric motors, and by speeding up or slowing down their spin the rest of the spacecraft can be turned this way and that, or kept pointing steadily in a desired direction—a function critical to all telescopes that need to point continuously at a specific spot in the sky. It's like a plot twist from a sci-fi thriller movie or TV series cliff-hanger: NASA's Kepler spacecraft, after searching doggedly for a habitable extrasolar planet for the last few years, is just about to reveal the presence of another Earth, when suddenly a malfunction shuts it down, snatching potentially one of the most Earth-shaking discoveries of all time right out from under us! "I've gathered you all here to reveal the identity of the mystery person. It is none other than…we regret to inform you that the show has just been cancelled…." So, the back story is Kepler was launched to search for Earth-sized planets orbiting their stars within their habitable zones, just the right distance so that temperatures are moderate enough for liquid water to exist on the surface. Much more difficult to detect than the first exoplanets we began finding—so called "Hot Jupiters"—Earth analogs are much smaller and orbit their stars far less frequently. In the four years since Kepler was launched, it has found plenty of gas giants planets orbiting close to their stars (Hot Jupiters), as expected. Being large and circling their stars every few weeks or even days, these are the first planets you would notice when looking for the minute dimming of their stars' light as they pass in front. But finding a planet quantitatively more like the Earth—small, circling its star only once in many months—takes more time and greater attention to details of the data. Just as planets around Earth's size began to emerge from the copious amounts of Kepler data, and just as it seemed Kepler scientists were close to definitively confirming an Earth 2.0 (such as candidates orbiting the stars Kepler 62 and Kepler 69), we must take a step back from that pivotal discovery and wait and take a deep breath…. It's important to remember a few things at this time. First, missions in space are risky, not only because of the severe environment, but also the fact that most of the robotic machines we put out there are beyond our practical reach to repair should a failure occur, a few low-orbiting examples like the Hubble Space Telescope notwithstanding. 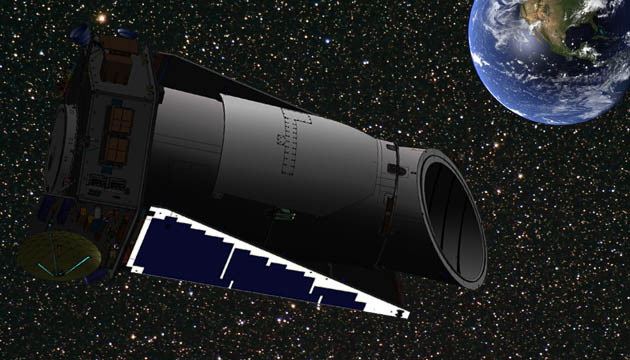 Second, though scientists wanted many more years of Kepler observations (fuel and funding might have taken the mission to the year 2019), Kepler did last for its entire projected mission. In that time it found hundreds of exoplanets, and over 2700 candidates, and changed our understanding of how common planets actually are in the galaxy, outnumbering the stars themselves. Third, in its lifetime, Kepler collected a mass of data that will be scrutinized for probably years to come—and that means the definitive confirmation of that other-Earth, that Earth 2.0, may already be in our possession, and only needs to be found among that data.